The plan is to build the KwaNobamba Royal Residence in the eMakhosini Valley (Valley of the Kings) near Ulundi, modelled along the lines of a traditional but modernised circular homestead. The king’s other palaces are at eNyokeni, KwaDlamahlahla, KwaKhangela, KwaKhethomthandayo, Lindizulu, Ingwavuma and Ondini. Plans to build an eighth palace about 27km from Ulundi have emerged during the mandatory environmental impact process as the project would involve cutting down at least 20 hectares of indigenous bush in the eMakhosini-Opathe Heritage Park. Almost half of this land would be fenced off to provide grazing for royal cattle, with space being allowed for one or two storage dams and a new access road. A background information document does not say how much the KwaNobamba project might cost, but indicates it would be paid for with “private Zulu royal family funds”. Responding to questions from The Mercury on Thursday, the chairman of the Royal Household Trust, Jerome Ngwenya, said he understood the project would be funded by private investors who were working with one of the king’s sons, Prince Butho, who also had interests in a petroleum business in Equatorial Guinea. 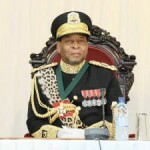 Although the land was owned by the Ingonyama Trust, Ngwenya said the government would have no involvement in funding the proposed palace. Taxpayers are paying at least R63 million a year for the upkeep of the royal household. The Royal Household Trust was set up in 2009 to generate income independently to support King Goodwill and his family, but taxpayers will probably be saddled with a multimillion-rand royal budget tab for some time. More than R36m was allocated to the king’s budget in 2007 by the provincial government. This figure swelled to R63.3m last year. An official financial review of the Department of the Royal Household last year noted that the Royal Trust was “not yet fully operational”, at least four years after it was established. The review noted that none of the king’s farms appeared to be commercially viable and that an extra R12m had been set aside last year for “major renovations, upgrades, refurbishment and repairs” to the king’s seven palaces. This was on top of the R15m spent on palace repairs and upgrades the previous year. More recently, R300m was set aside by the national Department of Education and Culture to upgrade King Goodwill’s eNyokeni palace to cater for the yearly Reed Dance celebrations. A large part of the funding would be used to build temporary accommodation for up to 30 000 Zulu maidens during the ceremony. Another report by the auditor-general, Terence Nombembe, last year noted that the Royal Household Trust had not submitted annual performance reports to him for two years in a row. Nombembe also voiced concern about the use of overdraft financing for the trust, as well as adverse liquidity and solvency ratios. 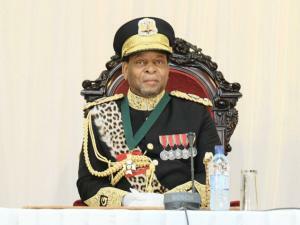 Nevertheless, the Zulu royal family hopes to start building the KwaNobamba palace as soon as environmental authorisation is granted by the provincial government. This was because eMakhosini was the birthplace of King Shaka and the burial ground of royal predecessors going back as far as the 1600s – King Zulu Malandela, King Phunga, King Mageba, King Ndaba, King Jama and King Senzangakhona. “The building of the KwaNobamba Royal Residence will serve to commemorate the heritage and traditions of the Zulu people and, with the Zulu royal family living once again in the area where the nation began, will serve as a living heritage,” said the document. The royal palace would feature nine traditional beehive huts in a circle around a central cattle enclosure. Instead of being built with a traditional wooden latticework structure, the framework would be made of steel. The main residence would cover 241m². There would also be a prayer unit, two guard houses, an ablution block, kitchen scullery, laundry room, garages and parking bays. There would be separate guest accommodation, covering about 5ha, set apart from the main dwelling. The 3km access road would be upgraded from a track to a district gravel road. Initially, the royal palace would rely on solar power, a borehole and rainwater tanks.